Water cannot get through. Depending on the exact concrete mix it might be that no vapour could get through either, but there isn't a test for vapour transportation through concrete that I know of. Waterproof concrete cannot dry out over time. Drying shrinkage is the major cause of cracking in old concrete. Waterproof concrete cannot dry out so it cannot crack for that reason. That is why waterproof concrete should never crack. Most chemicals that are deliterious to concrete, such as sulfates, salt and oxygen, need to be dissolved in water to do harm. Since the water cannot get in neither can the deliterious chemicals. In basement construction, waterproof concrete meets the requirement in BS8102 that the first defence against ingress of water should substantially reduce the amount of water that internal drainage (if chosen) has to deal with. But waterproof concrete made with pure OPC is not resistant to the salt in sea water, which attacks the concrete crystals that bind the aggregate. If you want concrete for sea defences you need to include a constituent that the sea water doesn't attack. This might be GGBS, flyash or micro silica. 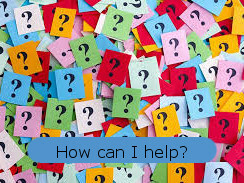 Check with your concrete supplier what cement blends he can offer you. Waterproof concrete generally has 350kgs of cement. 350kgs of pure OPC is good for DS2 sulfate resistance, which is almost always sufficient. GGBS, slag, replacing part of the OPC should give class 3 and class 4 protection. 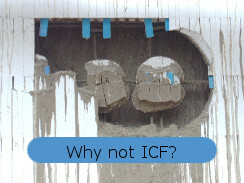 Most customers want their waterproof concrete STRUCTURE not to leak. The concrete should not have leaks through voids, cracks or debris where it wasn't cleaned even if the concrete is otherwise sound.
" In its introduction to the selection of materials the publication Concrete Basements Guidance on the design and construction of in-situ concrete basement structures to the Eurocodes (The Concrete Centre, 2012) states: "Good concrete is inherently water resistant". 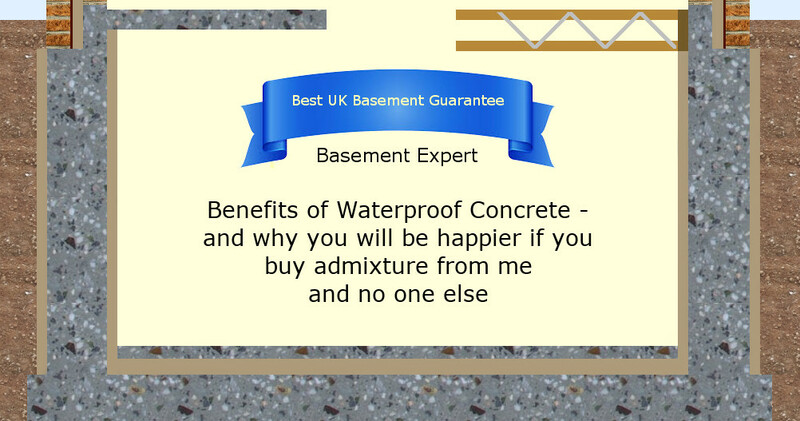 Many water-resistant basements have been successfully constructed on the basis of the above alone. 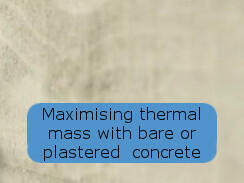 There are a number of admixtures in the market to modify the properties of the fresh and hardened concrete (e.g. porosity, permeability). Such measures should not be necessary if the basic principles noted above are observed." The crew in this photo might seem a motley lot but let us look carefully. Neither are they forming kickers, the timber is for a drainage channel around the inside. 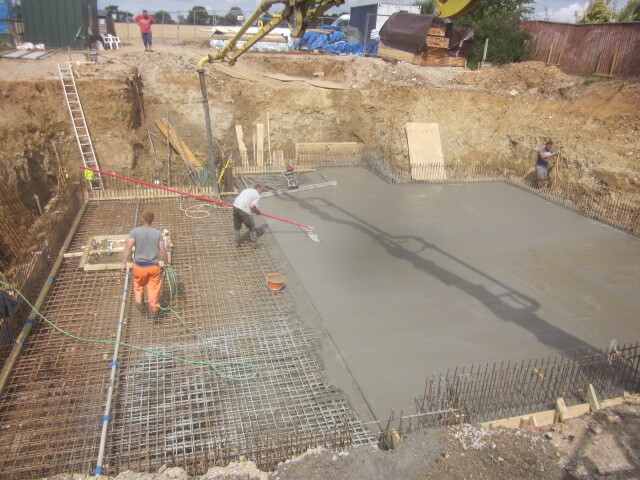 Waterproof concrete is a good concrete fit for purpose AND good workmanship. Not just one or the other.